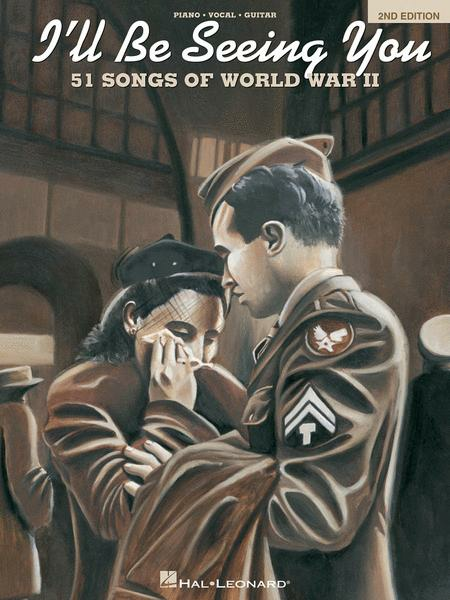 A salute to the music and memories of WWII, including a year-by-year choronology of events on the homefront, dozens of photos, and 50 radio favorites of the GIs and their families back home, including: Boogie Woogie Bugle Boy, Don't Sit Under The Apple Tree (With Anyone Else But Me), I'll Be Seeing You, You'd Be So Nice To Come Home To and more. This looks to be the goods for our tribute to war Airman. Ford Chorus does a lot of Patriotic songs. This is such a nice collection of songs. It makes it easy to sing and make sure the songs are from the right era. Never any problems with my requested shipments. Thank you. "I'll be Seeig You" 51 wartime songs! WOW! this website is great and my coworker was excited to know about the website as well. The month by month stories and photographs are a great addition to the songs from that era. They help relate the music to the events, It's like being there.